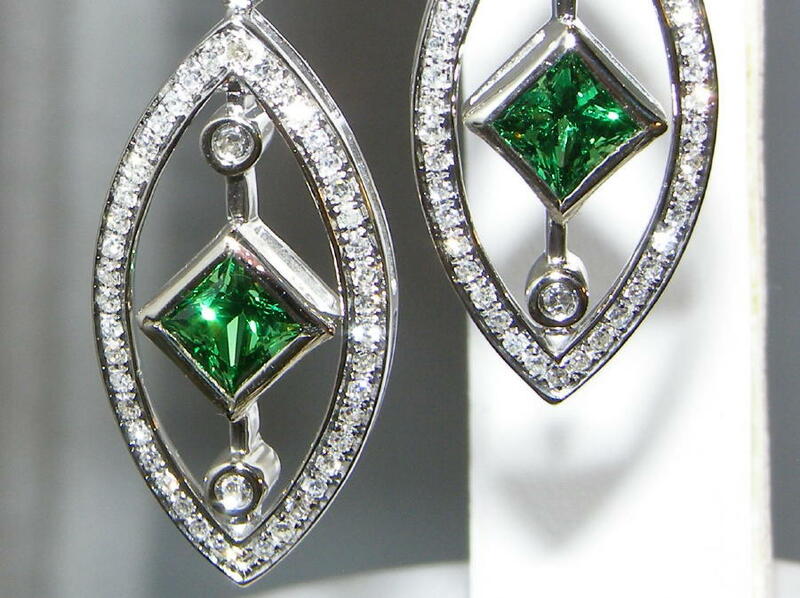 AAA+ princess cut tsavorites are elegantly presented in these dangle earrings. 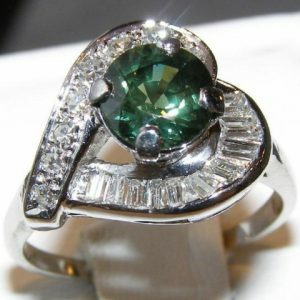 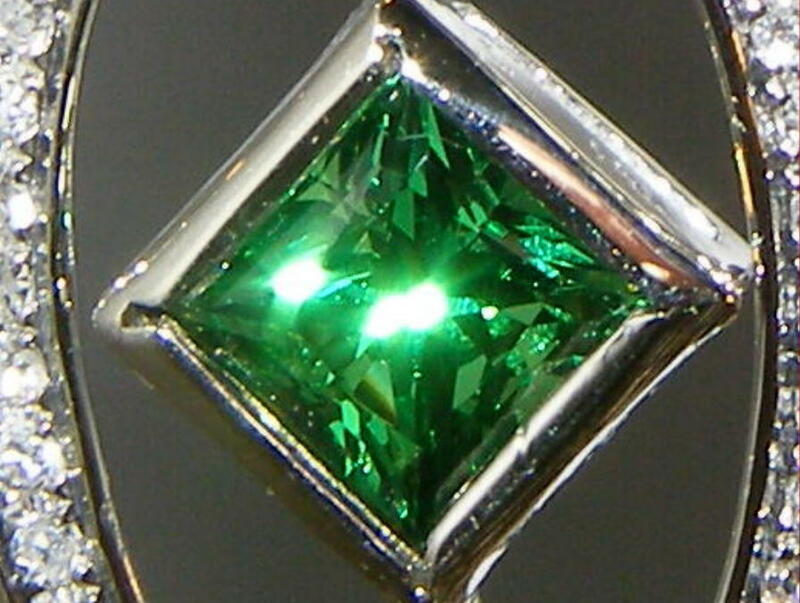 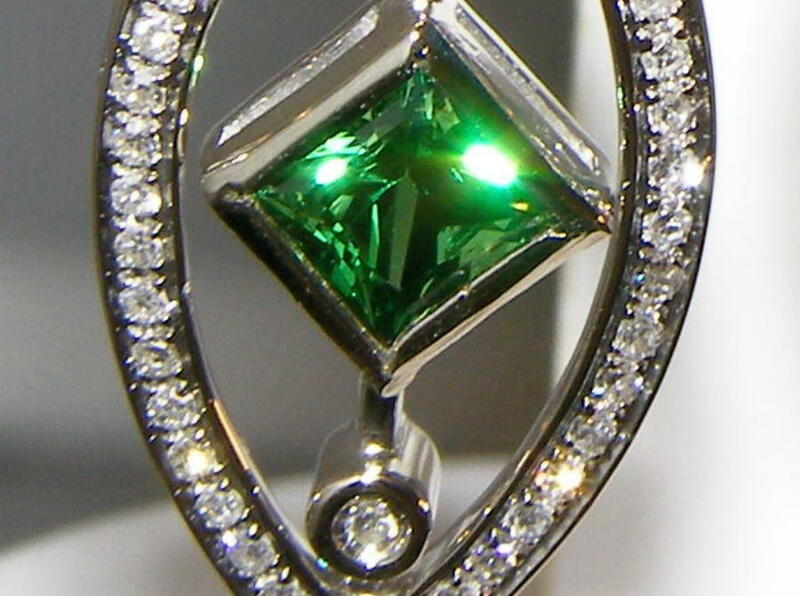 These tsavorites are top rated for their rich emerald green color, excellent clarity, precision cutting and electric bright green brilliance. 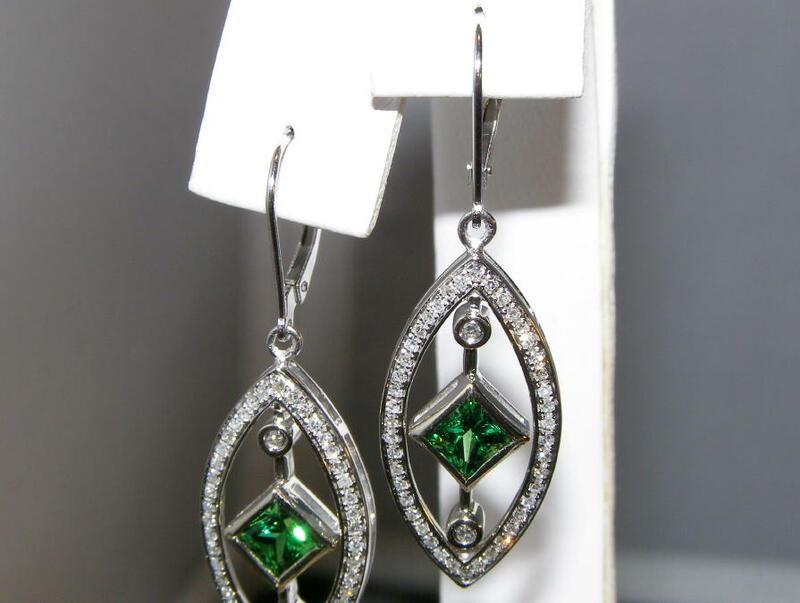 This pair weighs 1.20 carats total weight, measures 4.4 X 3.4 and is bezel set within a pave diamond lined frame. 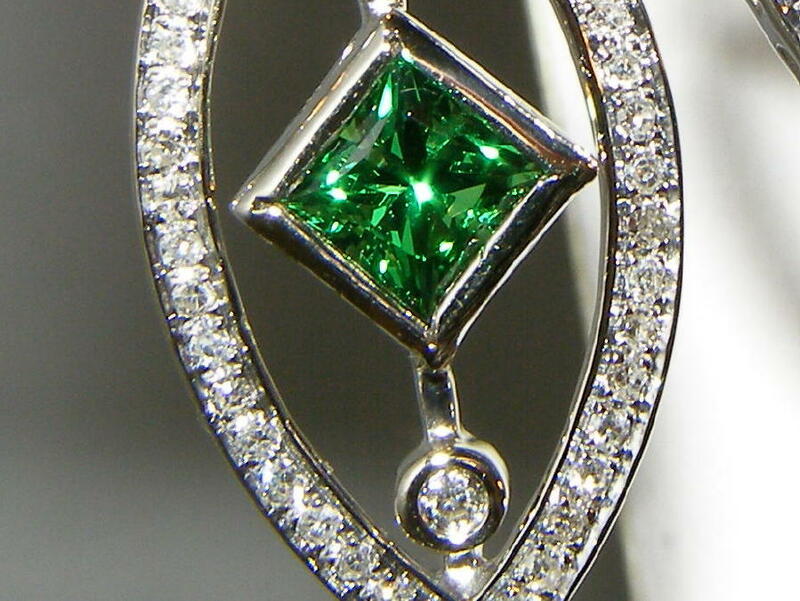 Gorgeous pave diamonds line the earring’s frame and a pair of round brilliant bezel diamonds is set above and below the tsavorites. 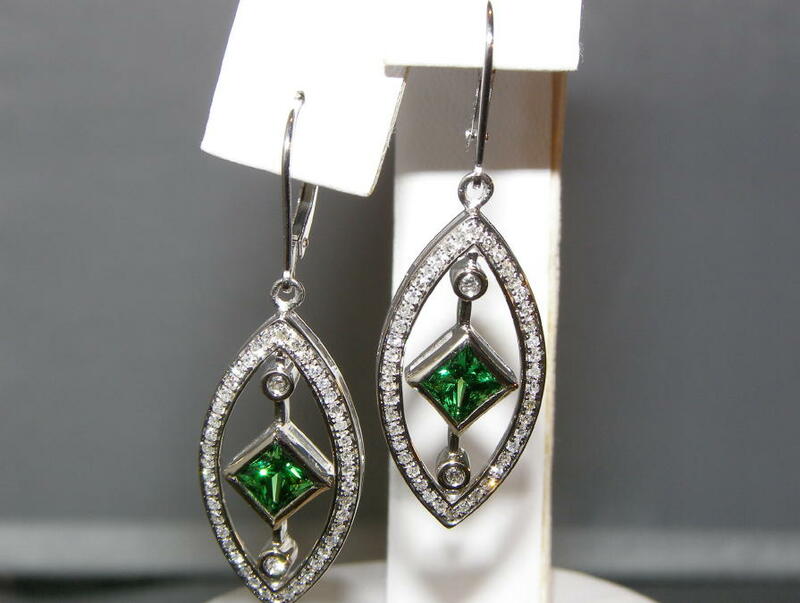 The earrings have 0.52 carat total diamond weight and the diamonds are SI1/2 GH color. 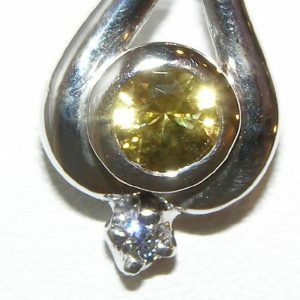 The earrings weigh 5.30 grams of 14K white gold and measure 38 mm or 1/1/2″ in length and are 13 mm or 1/2″ in width.